Telemachos and Athene arrive at Pylos, the home of Nestor. After Telemachos asks Nestor for news of his father, Nestor describes their homecoming; how a quarrel between Agamemnon and Menelaos sprang up and how half of the forces left with Menelaos, including Nestor and Odysseus. However, another quarrel began and Odysseus turned back, while Nestor continued on the windswept ocean and, with many prayers and sacrifices, made it home safely without knowing what happened to the other Achaians. 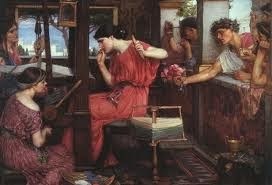 As Athene showed favour towards Odysseus in Troy, so Nestor hopes she will show favour towards his son by helping him rid his house of the unwanted suitors. When Telemachos states that even the gods couldn’t help him with that problem, he is scolded by Athene whereupon he reveals that he believes his father dead. Nestor then relates the stories he has learned later of the homecoming of the Achaians who had been with him: Agamemnon was killed by Aigisthos, the lover of his wife, Klytaimestra, upon reaching home, yet 8 years later Aigisthos was killed by Orestes, the son of Agamemnon; Menelaos was blown to Egypt by the gods and there lived many years before recently returning to his kingdom. Nestor counsels Telemachos to find Menelaos who will speak the truth to him. Offering horses and his sons as guides on the morrow, he gives Telemachos a bed in the palace in which to sleep. 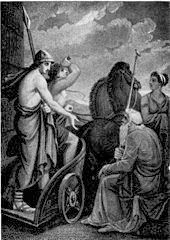 When dawn arrives, another sacrifice is made to the gods and Telemachos departs by chariot for Lakedaimon, the home of Menelaos. While the Kings of Greece appear to be well-respected by their people, in Ithaka there is a lack of loyalty and devotion. Respect comes with a price, and if a king is no longer able to benefit his subjects, they often will look somewhere else for either leadership, or conversely, seek power themselves. During the short time Telemachos and Athene spend on Pylos, Nestor has two sacrificial feasts to the gods. The detailed explanation of these offerings shows Nestor’s piety and generosity. His devoted worship of the gods is perhaps one of the reasons he was able to return home from Troy with very few delays, unlike the rest of the Achaians. Menelaos states that he would gladly be happy with one-third of the riches he returned with, if only it would bring back the fallen heroes of the war. Spoils and riches are equated with glory in this culture and it is interesting that he would not give up everything for his fallen comrades. Fame and glory can often be more important than life itself. The interaction between Menelaos and Helen seems at once, comfortable and strained. Each tell a conflicting story about Helen’s actions during the end of the war, and it is apparent that her husband does not believe her rendition. After 10 years, they have learned to live together but trust is certainly lacking. Is Helen telling the truth? After such a long time, Helen’s character is still elusive. Odysseus has been gone so long that the suitors have never known him personally, and this is partly from where their disrespectful attitudes stem. Their king is like a myth or dream, and there is nothing to tie their allegiance to him, except stories passed down from their elders. Menelaos, when recounting his adventures in Egypt, reveals that the reason for his long detour was that he had neglected to render complete hecatombs (offerings) to the gods, angering them. This is in contrast to Nestor, who made the proper sacrifices and arrives home quickly and safely. The poet changes images from scenes of harmony to “tragic, foul distrust, and breach disloyal on the part of man, revolt and disobedience ……” and makes a reference to a “celestial patroness” who visits him at night to inspire him to verse, as he is perhaps too old to have the words come to him without divine help. 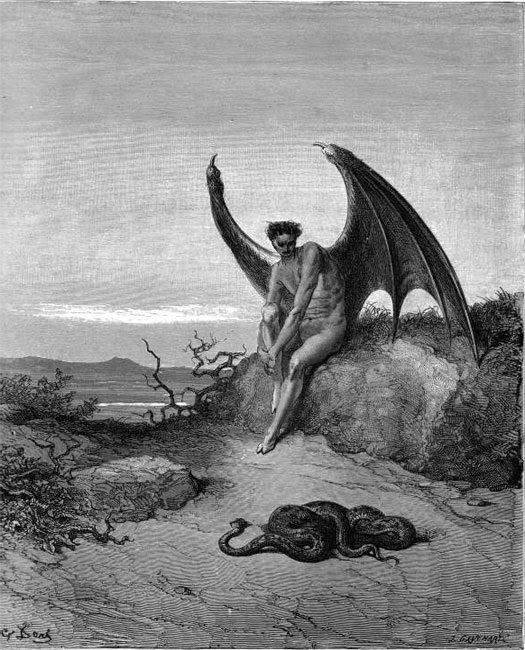 Then “in at his mouth The Devil entered” the serpent and waited until morning. Adam and Eve wake, but when it is time to perform their duties in the garden, curiously Eve suggests that they part and each work separately, thus accomplishing more work. His fierceness of the fierce intent is brought. Immediately she wonders if she should share the knowledge/fruit with Adam or keep it all to herself. But thinking that she may actually die for her transgression and jealous of the possibility of Adam marrying again, she chooses to take it to her partner so he will share her same fate, whatever that might be. They have gained knowledge, but it is the knowledge of the good they have lost and the evil that they have gained. Each blames the other for their transgression, bickering for hours on end as to who is culpable. 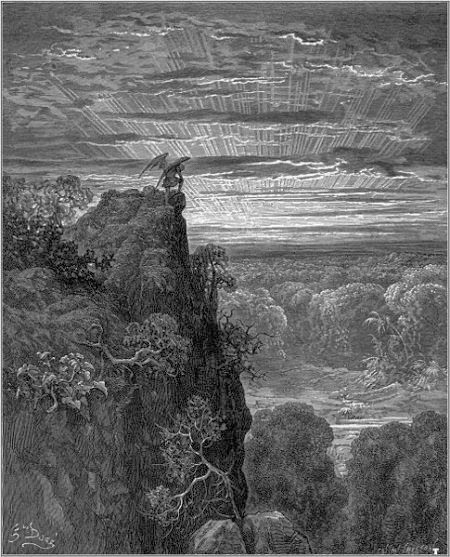 When Satan arrives in Pandemonium and relates his Triumph, he expects “their universal shout and high applause to fill his ear, when contrary, he hears, on all sides, from innumerable tongues a dismal universal hiss, the sound of public scorn ……”, then “His visage drawn he felt to sharp and spare, his arms clung to his ribs, his legs entwining each other, till supplanted, down he fell, a monstrous serpent on his belly prone …..” His followers experience the same phenomenon and, “thus was the applause they meant turned to exploding hiss, triumph to shame…” A tree grows in Hell similar to the Tree of Knowledge but when they try to eat the fruit, it turns to ash in their mouths. He berates her, laying all the blame for their condition at her feet but, instead of acting with like animosity, she responds with a wonderful contriteness, asking for his forgiveness and fully accepting blame. She suggests that if Death does not find them, they should seek him out themselves. Her humbleness and lack of pride have a surprising affect on Adam. Claiming God’s punishment just, he encourages her to accept their fate and go forward with hope. Some of the punishments they have so far experienced (ie. childbirth) have brought forth joy as well as pain and that is a comfort. Of sorrow unfeigned and humiliation meek? Wow! There was so much information, action and images packed into these two books, particularly book IX. 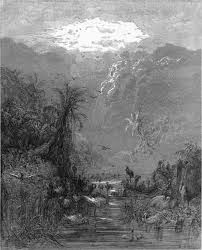 At the beginning of book IX, Milton mentions his celestial patroness or Muse, telling of her impartations of inspired verse and that he is not skilled enough on his own to create such poetic display. There are certain scholars who feel that Milton’s brilliance is not as apparent in the latter parts of the poem as the beginning (I am not noticing this, but, of course, I’m not a scholar), so I wondered if he is setting up this humble claim as a reason for a decrease in poetical ability……?? Again Satan’s torment is palpable and his personification of deception alarming. Occasionally he still feels joy, peace, happiness and knows what they mean, yet with any positive emotion felt, his rage, self-loathing and malice return at even greater strength. I had to wonder while I was reading this, whether Adam and Eve were familiar with deception. They would have had no exposure to it, but God did mention that they were completely equipped to meet their deceiver. I imagine, that while Adam and Eve had a certain sense of wonder and innocence, that they were not created as children. They were created as full-grown beings with sense and reason. It was their free-will that gave them the right to choose, and they made an horrendous mistake. I had to shudder at the speech Satan gave his minions. Once again, he is only concerned with power and prestige: “Thrones, Dominations, Princedoms, Virtues, Powers —“. 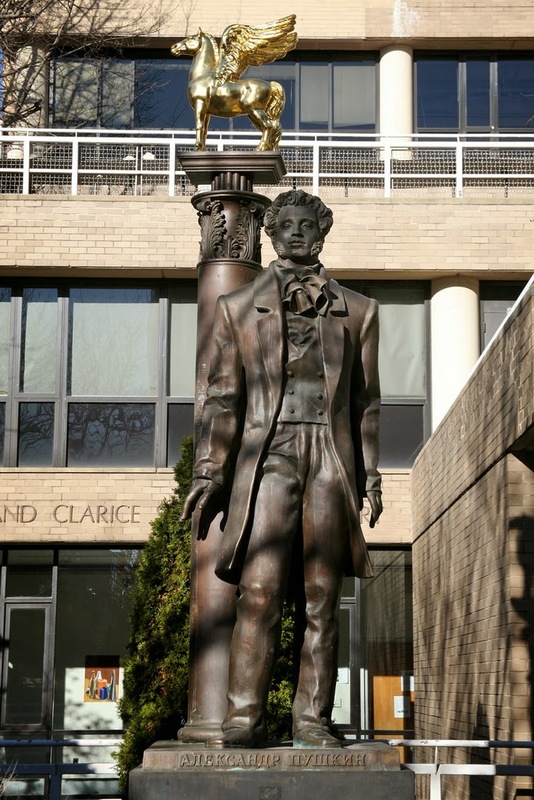 He gives the image of an army: “a broad way is now paved, to expedite your glorious march” and says that man’s disgrace is “worth their laughter”. Chilling. Another year has passed. Peter and Susan Pevensie are able to travel with their parents to America, while Edmund and Lucy are sent to live with their cousin, Eustace Scrubb. 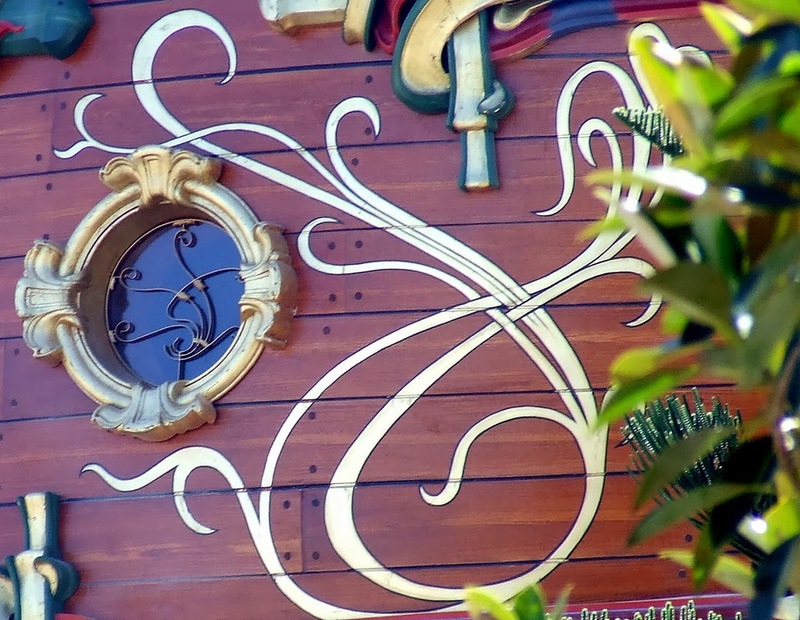 Eustace is a spoiled pest, a child who has been raised by “very up-to-date and advanced” parents and who attends a “modern school.” When the three children pass through a picture of a sailing ship and back into the land of Narnia, they are tossed into another wild adventure. 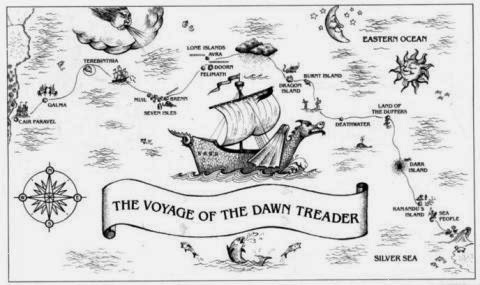 The Dawn Treader is the pride of the Narnian fleet and is carrying Prince Caspian on a journey to find the seven lost lords of Narnia, friends of his father who sailed east and went missing long ago. As they explore both uncharted land and water, the children find themselves in situations of danger and moments of decision that will change their lives forever. This book is the third book published of the Narnia chronicles and with each book, Lewis weaves more gems of wisdom into the story and does it with a genuineness that is particularly appealing. Lucy once again has an encounter with Aslan: Lucy is instructed to look for a particular spell in a book of Magic but decides, against her conscience, to read a spell that will stroke her vanity and make her more beautiful than her sister. Immediately she spies Aslan on the page, growling and showing his teeth, which stops her selfish action. Instead she chooses to read a spell that allows her to eavesdrop on two girls from her school, and what she hears about herself is not pleasant, especially since she had viewed one of the girls as her friend. Aslan gently admonishes her about listening to their conversation and says that her relationship with her friend will now never be the same. When Lucy wishes to know what would have happened if she hadn’t eavesdropped, Aslan tells her, as he told her in Prince Caspian, “Child, did I not explain to you once before that no one is ever told what would have happened?” Actions have consequences and we need to weigh the repercussions before we act, instead of being guided by impulse. Eustace Scrubb is certainly a wonderful character and Lewis’ development of him is extraordinary. Going from a petulant, spoiled, impertient child, he is transformed by a frightening experience, yet Lewis does not make him perfect in his transformation. As we see by his reactions, he still holds some of the same prejudices, assumptions, and, at times, behaviour as he originally did. 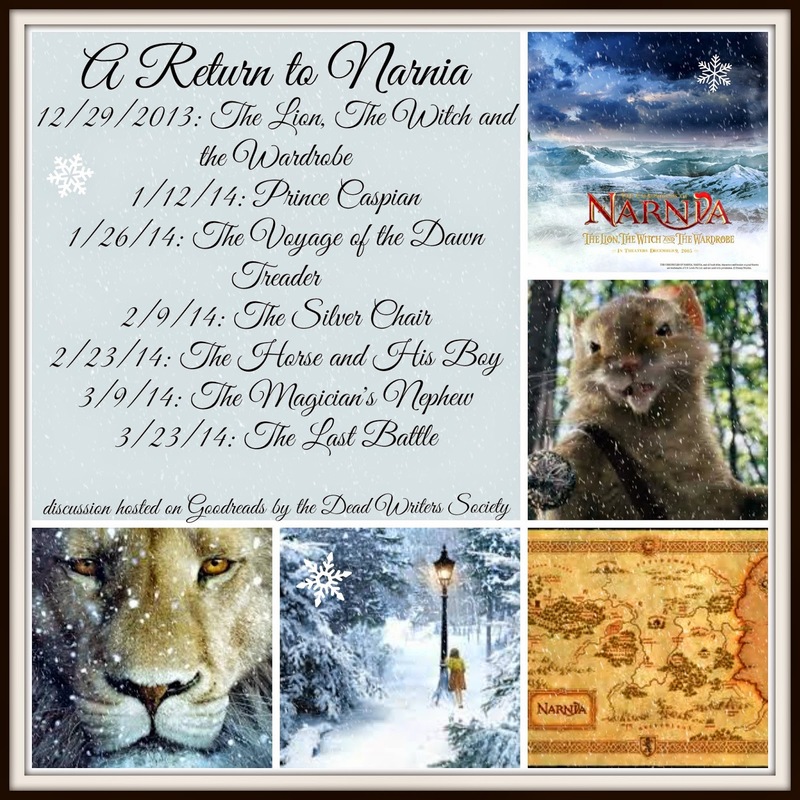 Eustace’s encounter with Aslan fundementally changed his soul, yet he is like an Everyman, struggling with life’s circumstances while trying to live a life of integrity, and still making mistakes along the way. Lewis makes a point in this book of examining the views of an exclusively scientific mentality and what results from this kind of worldview. Eustace is initially presented as boy who goes to a model, or progressive school, and is only exposed to factual experience. Because of his sterile formation, he is unable to enjoy or even recognize, the magic and joy in Narnia. He has straightforward knowledge, but when situations do not fit into his technical understanding, he is handicapped by his lack of wonder and curiosity, and is unable to accept, understand or cope with them. 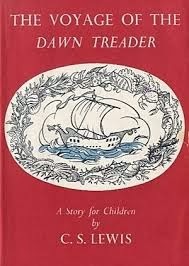 What is particularly telling, is that he doesn’t recognize what lies right in front of his face: in spite of being on the Dawn Treader and being able to see that it is a ship, he tries to tell Caspian what a real ship is like; when they land on Droon, it is reasonably obvious (and he has been told) that they are in another world, yet Eustace insists they should find the British consul; and even after Eustace’s transformation, when they land in the country of the Dufflepuds, he makes an impulsive judgement about the area and its people based on his first sight of technology: “Machinery! I do believe we’ve come to a civilized country at last!” By living solely by “the facts”, Eustace can recognize what makes us physically human, yet misses the wonder, enjoyment, and recognition, of what makes us spiritually human. Lewis was not concerned about science itself, but the importance placed on it and for what means it could be used. Once again, Lewis weaves a wonderful adventure for children, but leaves questions and ideas that relate to an adult world. Now before everyone thinks that I’ve lost my mind, I had already planned to read all these novels beginning in May along with some friends in my Dead Writers Society group, so while I will participate in the read-along, I will be two months behind schedule. And so we start our journey with Odysseus in his quest to find his way home after the long Trojan War, to be reunited with his wife and son, and to re-establish his reputation as the king of Ithaka. 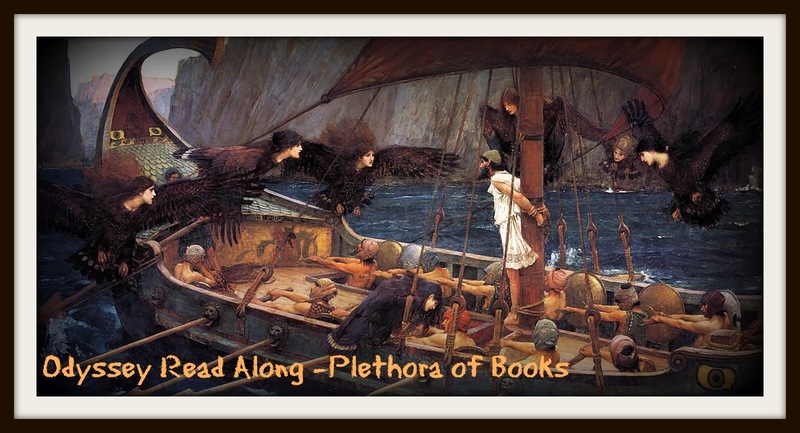 Plethora of Books is kindly hosting this read-along and has done a wonderful introductory post overflowing with important background information to better understand and enjoy The Odyssey, so please check it out! I’m going to be posting two books at a time, in spite of the four-books-a-week pace, because I have a strong feeling that my posts will get too long, trying to fit four books into one post. Homer invokes his Muse to tell the story of “a man of many ways” who after the sack of Troy, spends much time fighting for his life and those of his companions to accomplish their homecoming. Yet Homer quite handily and conveniently makes Odysseus a lone hero by relating the story of his companions’ fateful actions as they foolishly abuse the hospitality of Helios the Sun God by eating his cattle and, therefore, meet their death. On Olympus, Athene pleads with Zeus to remember the struggles of Odysseus, in spite of the anger of Poseidon, kindled after Odysseus blinded his son, Polyphemus, the Cyclops. 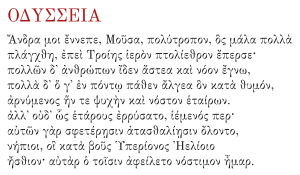 Zeus agrees to send Hermes to him and Athene departs for Ithaka, the home of Odysseus, where his wife is being beseiged by suitors and his son, Telemachos, stands helpless. Announcing herself as a man named Mentes, Athene counsels Telemachos to take a ship and search for his father, who is being held captive on a sea-washed island. Her instructions will send him first to visit Nestor on Pylos and then Menelaos at Sparta. Before leaving, she reprimands him for his childish acceptance of the raucous disrespectful behaviour in his household. A transformed Telemachos returns home to lightly scold his mother, Penelope, and admonish the suitors for their behaviour, astonishing both parties with his newly acquired forcefulness and strength of mind. We find later that Telemachos has ascertained that it was Athene in the form of Mentes, then he retires to bed, deliberating the upcoming voyage. The guest-host relationship is an important aspect of Greek culture. In The Iliad, we get an example of how complex this social ritual is when we see Diomedes of the Achaean (Greek) warriors and Glaukos of the Trojan warriors, not only refusing to fight each other, but exchanging armour simply because the grandfather of Diomedes had hosted Glaukos in the past and they had exchanged gifts. Their actions demonstrate that the guest-host relationship is sacred. Perhaps this example makes it easier to understand why the Sun God would slaughter all of Odysseus’s men, and it also makes the behaviour of the suitors in the home of Odysseus that much more appalling. Odysseus was/is the king of Ithaka, yet it is obvious by his absence, the island is completely lacking leadership and the societal rules and traditions have degraded into a type of anarchy. or in the arms of his friends, after he had wound up the fighting. When we first meet him, he is a boy, without any power or prestige. The suitors have taken over his house and, in fact, his inheritance, as they make free use of his goods. While he complains to third parties about the mens’ insolence and discourtesy, he does not seem to have made any resistance against them in word or deed. 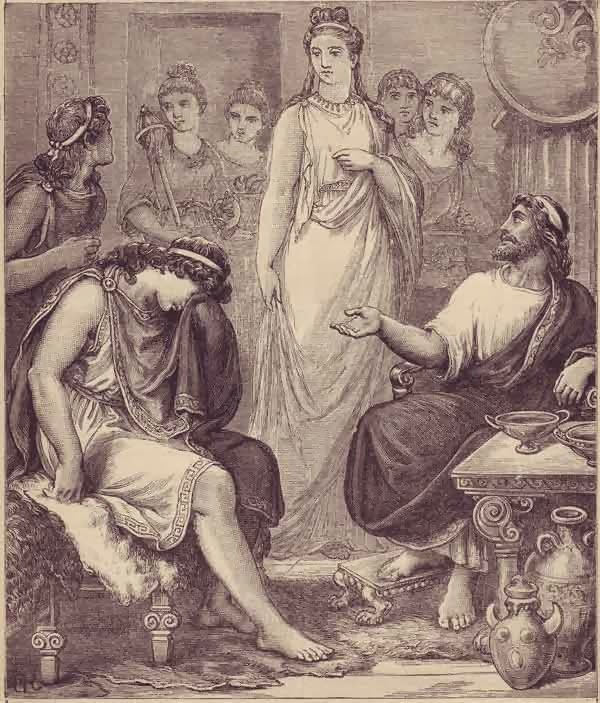 Yet after his conversation with Mentes (Athene), she imbues him with courage and spirit, which he immediately puts to use and attempts to establish himself as the power in the household, first by demonstrating control over his mother, and then by threatening the suitors with consequences if they don’t return to their own homes. Telemachos calls a meeting of the men of Ithaka, where he castigates them for abusing his home and provisions, and for pressuring his mother to marry yet not being willing to take the proper steps of asking her father for her hand. Yet Antinoös contests his views, agreeing to allow Penelope and her father to choose one of them, and accuses her of the ultimate deception: conceiving of a ploy to delay her marriage, she begins weaving a shroud, agreeing she will marry one of the suitors when it is finished, yet she unravels the shroud each night. Countering the charge by avoiding the issue, Telemachos states he cannot make his mother marry against her will without invoking the rage of the furies and the displeasure of the people. Hmmmm ……. some of his father’s wiliness seems to be springing up in his character …..
As they are speaking, two eagles overhead tear at each other, and wise Halitherses, reading the omen, warns the suitors that Odysseus will return and that they will suffer great pains. Scorning his words, Eurymachos states that they will continue their harassment, whereupon Telemachos requests a ship and men to journey to find his father, promising that if he learns of his death, he will return and give his mother in marriage. Mentor, the steward of Odysseus, then accused the people of Ithaka of not speaking up against the suitors’ ignoble actions. Leokritos, scoffing, dares anyone to go against them, even Odysseus himself, and the meeting breaks up accordingly. In response to Telemachos’ prayer, Athene appears in the form of Mentor and promises him a ship. When Telemachos arrives home, Antinoös attempts to persuade him to feast with them, but he replies that he will work towards their destruction and, as he leaves, the suitors ponder if he is going to seek a way to bring about their murders, or if perhaps, he may perish on his upcoming voyage. Meanwhile, Athene secures men and a ship, returns to place a “sweet slumber over the suitors”, which allows them to leave unseen. It’s apparent that without a king, the island kingdom has fallen into a sorry state of disorder and rebellion. The suitors, by abusing the code of hospitality, are acting in a way that they would never act if there had been proper leadership. Aigyptios mentioned that the meeting called by Telemachos was the first since Odysseus had gone away (nearly 20 years before! ), more evidence of a lack of government which allows the suitors free license in their conduct. He still needs to rely on leadership from Athene, but if she gives him a task, he is ready to complete it. The suitors still aren’t taking him seriously …… yet ….. This scene occurred in the middle of Telemachos’ speech to the suitors at the meeting. Is this a childish tantrum? I’m not sure. The corresponding emotions felt by the people were pity and restraint. I know from reading The Iliad, that tears from a Greek warrior are not unusual, and a crying man was not viewed by the ancient Greeks in the negative light that we would view one today. Yet hurling the sceptre to the ground with tears perhaps shows a youthful frustration and petulance …? What does everyone else think? The account of Genesis is then recounted by the angel. Such music and singing, sweet and soft, “choral and unison”, that greeted creation in a symphony of praise to the Creator. Again, this part was difficult to understand but I believe Adam questions Raphael as to why Earth is so small compared to the rest of the universe. Eve, listening thus far, decides to leave at this point. Raphael then goes into copious detail about Heaven, Earth, the Cosmos, the Sun, etc. Leave them to God above; him serve and fear. This carnal pleasure is not in itself true love. True love elevates, whereas passion lowers the soul. Adam assures the angel there is a union of minds between them, “in us both one soul,” then he prods on tender ground, inquiring if angels share love by “looks only.” Blushing a “celestial rosy hue”, Raphael reveals that when angels embrace there is no need for “flesh to mix with flesh,” and with one last warning for our curious first man, he ascends back to Heaven. Well, the reading is certainly getting harder and I am having to re-read in parts to get the gist of what is happening, especially when Raphael begins to talk about the universe, mixing Ptolemaic and Copernican theories. Whew! I’m not sure yet how I feel about Milton’s portrayal of Adam and Eve. Their literary creation must have been a difficult task to accomplish. On one hand it’s necessary to make them appear innocent and pure before the Fall, yet they also need to be capable of being tempted, so in reality he needs to give them some sort of flaw (is that the word I’m searching for?). Perfect and yet not perfect. I’m not sure if it’s possible to do this task well. Honestly, I don’t have much to add with regard to these books. Once again, very enjoyable, yet not as easy to assimilate as at the beginning of the poem, on more levels than just understanding. I’m interested to see how Milton will handle the temptation of Eve and the Fall, because we all know who is still watching the Garden! Plethora of Books is hosting an Odyssey Read-Along beginning now, and since she begged and grovelled and cajoled me to join, how could I say no? I haven’t decided on the translation I’m going to read yet. Lattimore is apparently the closest to the original, yet in spite of complaints that Fitzgerald tends to embellish (more Fitzgerald than Homer), I might just choose to read his, as I read Lattimore’s the first time round. The Fagles translation I would tend to avoid on principle, but I’ll probably do a comparison between all three before I start. In spite of feeling a wee bit overloaded with my reading, I’m really looking forward to reacquainting myself with The Odyssey. 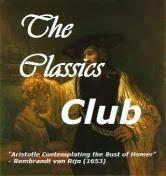 After reading The Iliad, I fell in love with Greek literature and it will be a joy to visit some old companions again! If you are interested in joining, pop over to Plethora’s blog to sign up! 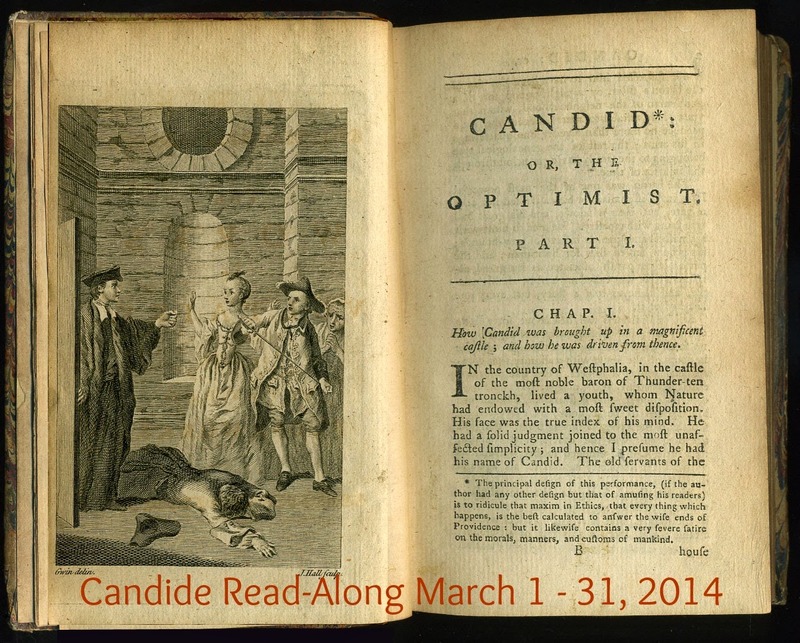 Fariba from Exploring Classics is doing a read-along of Candide by Voltaire in March and I have decided to join. My schedule should have eased somewhat by then and I should be able to fit it in relatively easily. The event will be from March 1 – 31, 2014. After she posts about a series of chapters, you have a whole week to comment on those chapters. Depending on if I have enough time, I may tried to read the novel in the original French, or at the very least read some of it in French. 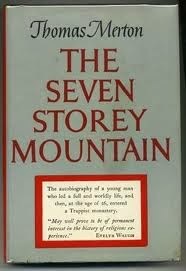 I don’t quite know what to expect from this novel but I’m looking forward to it! Classics Club Spin #5 …………. And The Winner Is …………..! No, I haven’t spent the morning breathing into a paper bag, but nearly. I do want to read this book, just not now. 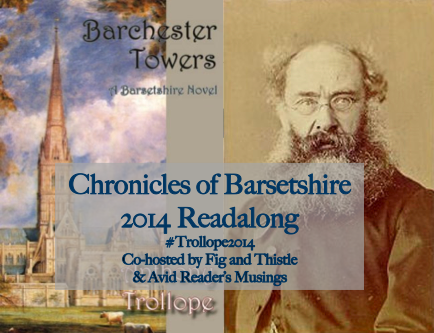 I have read a number of chunksters lately (War & Peace, David Copperfield, Once & Future King, Ovid, etc. 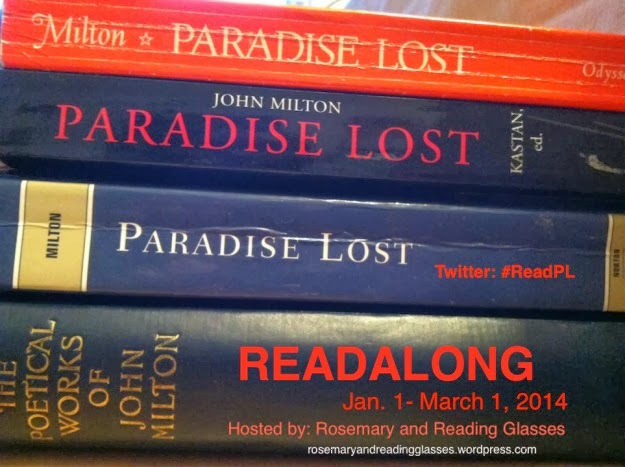 ), my reading schedule is on overload and I have been and will be reading so many books on faith this year (my Lewis Project, Paradise Lost, the Pilgrim’s Progress ….) that I was really hoping to get something else. Is that bad? In any case, it is what it is. Best of luck to everyone on their attempts to complete their Spin! I was so happy to get the chance to participate in Marian at Tanglewood’s Read-Along for my second read of Eugene Onegin in six months. My first time I read the translation by Charles Johnston and this time chose to read James A. Falen’s translation. But more comparisons on the two later. 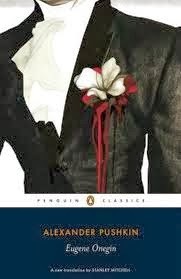 It was such a joy to read such a lively and often tongue-in-cheek poem, yet Pushkin weaves his jaunty remarks throughout a tale of serious love, serious death and serious coming-of-age, crafting a remarkable masterpiece. 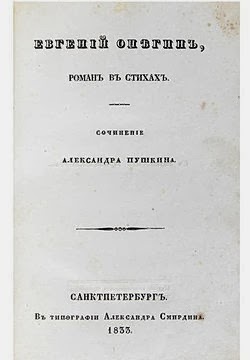 Since I already reviewed Eugene Onegin the first time I read it, I will simply cover a couple of areas that stood out for me from a second read, that were not initially apparent. Comparing the two translations, I must say I enjoyed Falen more than Johnston. Johnston’s words have a loftier tone and are perhaps more beautiful, but I think Falen captures the spirit of the poem more accurately. A couple of times, his choice of words appeared awkward, yet he communicated the grave situations in balance with the bouncy, cheekiness of the narrator, with flair and apparent ease. I would recommend him for a first-time reader. ” Why mark me out for your attention? Is held in high esteem at Court? Until he saw Tatyana the second time, he was the same foppish young man, sinking in ennui. She revived him briefly, yet even in the ardent fog of love, his actions are not the actions of a man who has gone through a self-examination from the tragedy that had come from his initial conduct (the duel). If he had managed to convince Tatyana to begin a relationship with him, it would have ended in another duel and another possible death of a friend. I think Tatyana was wise enough to ascertain the baseness of his behaviour and foresaw the consequences. She loved him as a man, yet rejected his ignoble character. There is a pathos in his words and actions with which the reader can sympathize, hoping for a reversal in his chosen path, but at the end he is still walking the road of self-gratification and boredom, and we can only watch him disappear into the thickening mist …..